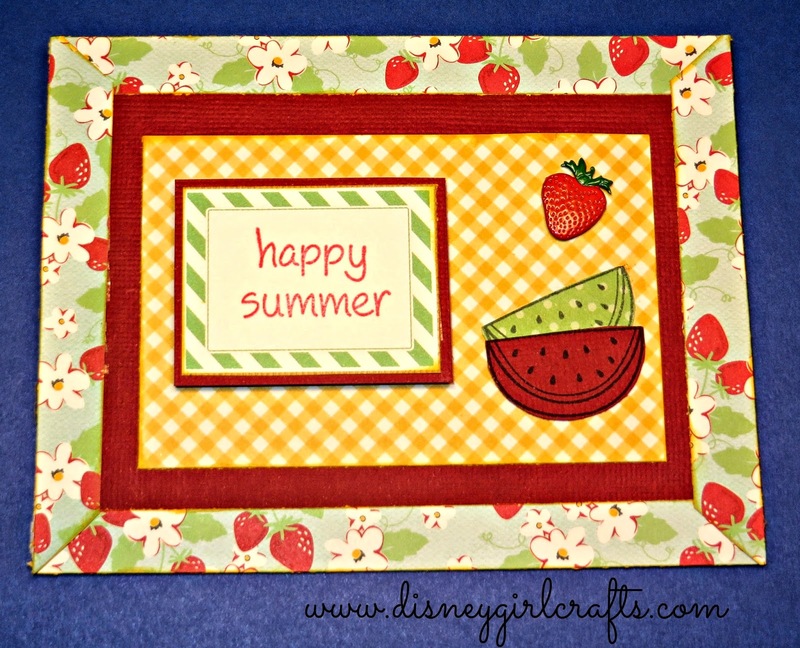 Disney Girl: We're Hopping With A Card Kit! We're Hopping With A Card Kit! It is perfect for all levels of scrapbookers! So whether you are a newbie or an experienced scrapper, these kits have everything you'll need to create fast and easy projects. All you need to do is get out your scissors, paper trimmer and adhesive. Why card kits? A couple of reasons.... one is getting fabulous papers and embellishments from popular scrapbooking companies, without buy a ton that you would never use and letting it all just sit in the drawer. The second is cost. Most of us are frugal scrappers and affordability is high on the list. It is not always easy to spend $30- $50 on a kit. Our kits will be $15.00 which INCLUDES shipping! And lastly is convenience. With these kits there is no guess work in getting papers to coordinate along with embellishments and fabrics, etc. Here is what I made with the June card kit. I have SO much stuff left in the kit and I cannot wait to play with it all! My Tip: Sometimes images do not need colored. They just need stamped on plain or patterned card stock. My watermelon is an example of this. This is a blog hop. The next stop on the hop is Marilyn's Crafts. Here's the line up in case you get lost along the way. 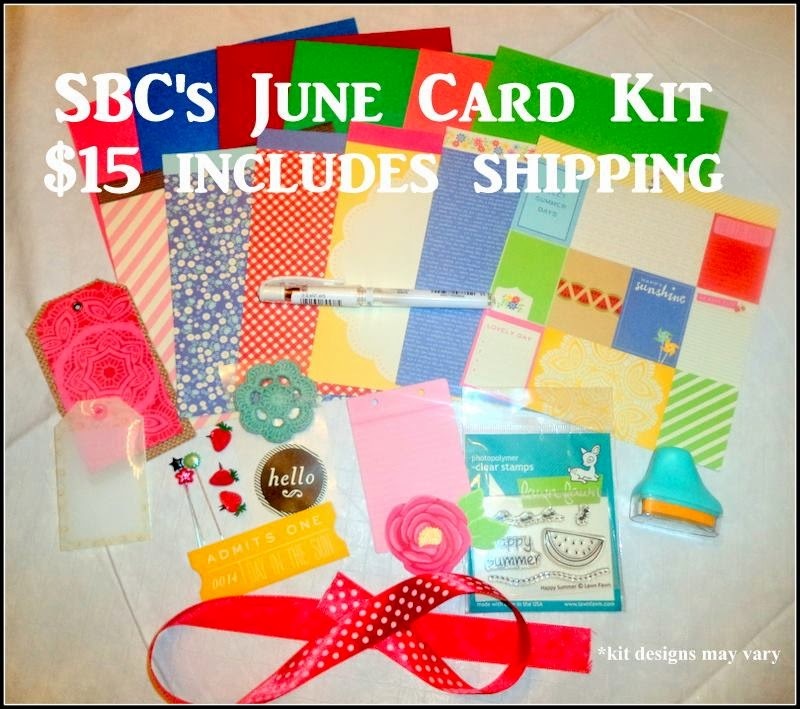 Did you know that Scrapbook Blessings Club is on Facebook? Well we are. Just head on over here and join in. Thanks so much for stopping by! Be sure to hop along and see what the rest of the Design Team has created. Have a magical day!! Love the way you stamped your watermelon. What a fun idea. Sweet card. I really like the watermelon slices. You are right, they look great just stamped on the cardstock/patterned paper. Great tip! Your card is so adorable! Love it very much!